They’re just nice enough to let us live in it. 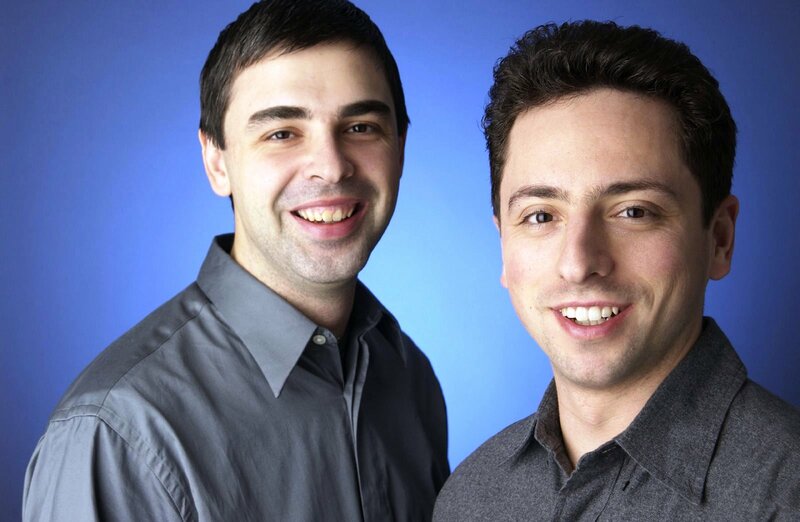 When Larry Page and Sergey Brin launched Google out of a dorm room in 1998, they had no idea that it would one day employ 32,000 people, process one billion searches a day, and earn over US$30 billion a year. What they had, instead, were some very non-traditional thoughts on how to run a business. Google’s home page is a perfect example of the company’s commitment to simplicity. For Google, simple means faster, easier to use, and higher quality. That’s why software developers who work at Google are taught that the best products “include only the features that people need to accomplish their goals.” When they’re creating a new product, they don’t try to stuff it full of as many features as possible. For some reason, it’s human nature to make things more complex than they need to be. As a writer, I’m always resisting the temptation to use long words and complex sentences. But simple writing is usually more effective – and the same goes for business models. But their studies at Stanford soon led them to respect one another as intellectual peers. It was this mutual respect that brought them together in 1995 to collaborate on Page’s doctoral thesis: an algorithm that could rank websites based on their shared hyperlinks. Even though it was Page’s idea (hence the name PageRank), he couldn’t have created the algorithm without the mathematical wizardry of Sergey Brin. Without a math prodigy like Brin on board, Google might have been just another thesis. It was the joining of two very strong brains and personalities that made the algorithm what it was: a search engine so effective that it put Lycos and Excite to shame. Google’s PageRank system rocket-propelled Page and Brin to the top of the upper echelons of Silicon Valley. Suddenly, their little search algorithm was duking it out with industry titans like Yahoo! and Microsoft… and winning. But as the company grew even larger, Page and Brin realized that they had to bring another brain into the trust: this time, someone who could lead Google as a corporation and offer the boys “adult supervision.” In 2001, they hired Eric Schmidt as CEO and began running Google as a triumvirate. Schmidt started running Google like a business – and acquired YouTube in the process. Even though Schmidt has since stepped down as CEO, he still serves as Google’s executive chairman, and Google continues to emphasize a spirit of collaboration in all they do. Having a partner to collaborate with isn’t a requirement. Many very successful businesses are founded, owned, and operated by one person. With that said, two complementary business partners will motivate one another, brainstorm innovative ideas together, and each allow the other to do what they’re best at. I can speak from personal experience on this subject. My business partner has been absolutely essential to our company’s success and I feel thankful for him daily. When Google launched its search engine in 1998, it was already great. The PageRank algorithm was simply better than the competition, which focused too much on words and often returned irrelevant results. It was this greatness that allowed Google to grow without spending millions on a marketing campaign like Yahoo! and Ask Jeeves. Google was so great that it spread almost entirely by word of mouth. But great wasn’t good enough. Google believes, “It’s best to do one thing really, really well.” So, instead of spreading out into different industries, the company kept perfecting their search engine. The above quote is from 2004, by which point Google had cemented their position as market leader. Not only were they the world’s top search engine, they were about to unleash their IPO to a market capitalization of a cool US$23 Billion. But even at that point, Larry Page was not ready to rest on his laurels. As he said, they were a “long, long ways” from where they wanted to be. Thanks to this attitude, Google has been churning out big improvements to its search engine year after year. Innovations (i.e. the spelling suggestions Google gives you when you misspell a word) are a big part of the reason they’re still the world’s top search engine. I don’t care how good you are at what you do, you can always get better. That’s why I’ve suggested that you spend 20 minutes actively learning every day. People don’t expect to have to pay for much of anything online. But that’s not a problem for Google, which offers more free value to their users than any other online company. Just think of all of their free software and services: Gmail, Google Docs, Google Analytics, Google Website Optimizer, Google Earth, Google Chrome… the list goes on and on. Collectively, these products have cost Google millions and millions of dollars to develop. Some, like Gmail, generate revenue through advertising, but many do not make Google any money at all. What they do is more important: build brand loyalty. Thanks to all they’ve given away, Google has an army of devotees eager to use their latest services, share them with their friends, and shell out cash when Google releases something that actually costs money (like a Chromebook). Count me among the converts: I’ve been so impressed with Gmail and Google Chrome that I just assume everything Google does meets a high standard of quality. When people receive something of great value for free, it instills in them a sense of gratitude to the giver. It’s human nature to want to return the favor. Start being more giving with your business and you will find that you’re getting more referrals, making more sales, and getting a warmer response on social networks. 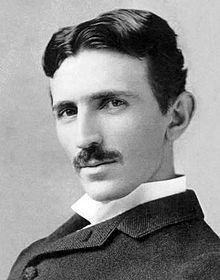 Nikola Tesla was one of the greatest inventors of his time. He laid the foundation for radio communication, wireless technology, and electric power. Without his advances, Google couldn’t exist. Yet Tesla died with hardly a penny to his name. When Larry Page read a biography of Tesla as a kid, he learned an invaluable lesson: protect what makes you valuable. This is an especially difficult task if your value comes from easy-to-steal ideas. As CEO of Google, Page has been sure not to follow in Tesla’s footsteps. Google has kept a close guard on their big competitive advantage: the PageRank algorithm that Page and Brin had labored over as graduate students at Stanford University. While Stanford actually owns the PageRank patent, Google bought the exclusive rights to use it for 1.8 million shares of stock (later sold by Stanford for $336 million). 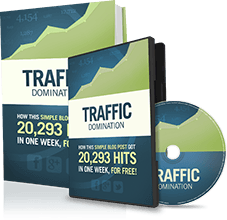 No other company is able to use their patented method for ranking pages. That’s a big reason Google still sits at the top of the heap. In recent years, Google has been more active working with the government to protect their interests. They spent about US$10 million on lobbying the US government in 2011 and took part in a successful campaign to deter the SOPA/PIPA legislation in January 2012. Every idea is different and there’s a good chance that yours won’t require a patent. “Part of our brand is that we’re pretty understated in what we do. 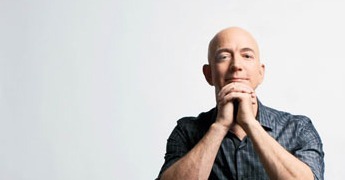 If you look at other technology companies, they might preannounce things, and it will be a couple years before they really happen, and they don’t happen in the way they said they would. Google doesn’t do hype. They let their innovative products and services speak for themselves. I’ve met a lot of entrepreneurs who talk a big game. They’d have you believe that they’ve got all of the most important connections and that their next project is the next big thing. Talk to those same entrepreneurs in six months and chances are that last project fizzled out and they’re already onto talking up the next one. Talk is cheap. It’s always better to let your accomplishments speak for themselves. Everybody knows how important first impressions are. When somebody’s first impression of your project is you talking about it before it’s ready, then you wasted that first impression on mere talk. It’s tempting to tell all of your friends, relatives, and colleagues about your brilliant idea. But think about how much more powerful it will be if you wait until your project is completed, successful, and has a few mentions in the media. Be patient – and wait until the time is just right to share your business with the world. Until a project is set in stone, it should always be evolving. Keeping quiet also allows you to be more versatile with your business. If you realize that it would be better to evolve in a slightly different direction than you had initially planned, you don’t want to be constrained by the expectations of the people who already know your original plan. At a more personal level, talking up your plans too much can actually make you less likely to follow through with them. When we tell someone what we hope to achieve, we feel some of the satisfaction of actually accomplishing that goal – and it actually makes us less hungry to pursue them. Google may be the world’s most powerful website, but that doesn’t mean they can’t have a little bit of fun. 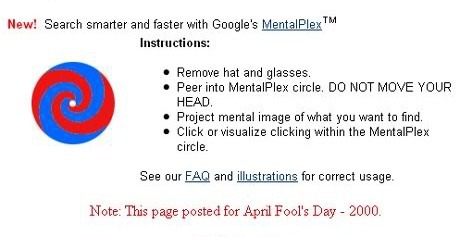 Since 2000, Google has been playing April Fool’s Day jokes on the world. Their first prank was a new search feature called Google MentalPlex – which claimed to scan your “personal aura and brainwave activity” and then determine which website you were trying to reach. In 2002, they “revealed” that their search results were determined by “data coops” full of trained pigeons. They’ve since announced job openings on the moon and unveiled a sports drink called Google Gulp. Sounds tasty. Google’s actually ramping up their pranks. In 2011, they pulled a whopping 17 of them on April 1st. Why does Google spend so much time joking around? The pranks earn Google plenty of press and a small bump in traffic. But more importantly, it brings a sense of fun and real personality to their brand – both for their users and for their employees. When you interact with somebody online, they could be all the way on the other side of the globe. Just because you’re distant from one another, that doesn’t mean you have to act distantly. Every website visitor, every Facebook sharer, and every email subscriber is a flesh-and-blood person, just like you. A personal touch goes a long way. Big companies like Google can often make more money in the short-term by taking advantage of their customers and employees, damaging the environment, or ignoring human rights. Google’s adoption of the “Don’t Be Evil” motto meant that they were committed to being a different type of company – one guided by a strong moral compass. Google also does good through philanthropy. In 2004, they launched Google.org, a not-for-profit organization that looks to solve the problems of global health, poverty, and climate change. Absolute power corrupts absolutely – and Google has become very, very powerful in the last few years. 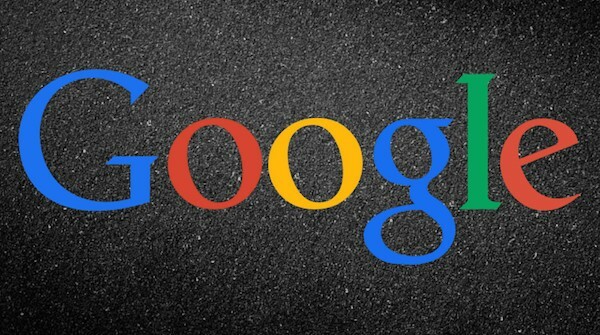 In 2009, Google quietly dropped “Don’t Be Evil” as their official motto. That doesn’t necessarily mean that Google’s gone to the dark side. The slogan was simply attracting too much negative attention. The company has drawn criticism for allowing their search results to be censored in China and for making a deal with Verizon that some journalists considered damaging to net neutrality. We could argue all day about whether Google’s doing a good job of practicing what it preaches. It’s a worthwhile conversation to have, especially given than an immense amount of our personal data sits on Google’s servers. But here’s something where, in my opinion, there’s no room for debate: doing good is good business. It’s not just about being a better person or getting that warm, fuzzy feeling; businesses that do good are simply more likely to be successful in the long haul. Do You Follow Google’s 8 Simple Rules? Google’s principles are pretty idealistic. I think this explains why they’ve become so popular but also why they sometimes have trouble living up to their own values. Take a moment to reflect on our own businesses. Are there any of the rules above that you think your business does a great job of embodying? Are there any areas where you think you could improve by being a little bit more like Google? Personally, I see a lot of Google in my own business (an emphasis on collaboration and a daily desire to improve the service), but there’s still a lot for me to learn (keeping things simple and protecting my share of the market). This article has left me more energized than ever to apply Google’s principles to my company and my website. I hope it does the same for you. The more people who follow Google’s lead and create simple, collaborative, value-packed websites, the better off we’ll be. Google is a love hate relationship with customers most of the time, but in reality, they really do provide people with tons of free resources to use. The whole MentalPlex thing is hilarious! It is love / hate. I would say that Google has made the Internet a much better, more helpful place in the last 15 years. Then again, I think people are very right to be concerned about how much power and private information Google has acquired over that time. Wow! What a powerful article. It really makes sense to keep things simple, protect your property and collaborate. These rules are huge because many entrepreneurs will actually neglect to create a foundation before moving to far forward. This often will lead to failure due to a lack of direction. Thanks, Mark. There’s a lot of value in just following in the footsteps of companies that are doing it right. Hey Nick, awesome post as usual. 2. Second, where did you get your image in your post? Thanks, Ken. I don’t think that it’s a plug-in for the quotes, just part of the design. Alt+Shift+Q is the hot-key I use for blockquotes. The images came from many different places: some are composites and one is a screen capture. Awesome article. Great research and ideas. Not much to add really! Great post Nick, just thinking of a post that might go well as a follow up post to this, is a post on the ways that google makes it’s money! I know there’s a bunch of those posts out there already, but would be a neat post that you could make in order to ad to this one, just thought it would be a good idea to throw out there! Thanks for the suggestion. As far as I know, Google makes about 96% of its money from advertising across all of its platforms. 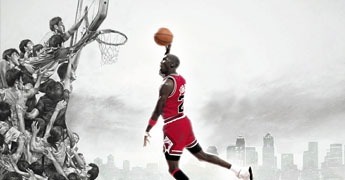 Great content, am really impressed with that, and it is very helpful as well to me. I always look forward to see what you guys are writing about. I think it’s actually a lot easier to make money online without scamming others, at least in the long term. Great topic Nick. Don’t be evil. If most companies established this policy the world would be a much better place! Very true. I think that with the rise of social media, it’s becoming harder for companies to get away with being evil. Maybe more companies will adopt Google’s ‘Don’t be Evil’ policy in the future. True. Apple has proven how powerful (and beautiful) simple design can be. WOW!! Really inspirational article Nick, Thanks a ton. Thanks for the article nick. It was really powerful and providing a lot of advice that I might put to action in the future for my business. The first rule, of simplicity, simply blew me away. I just noticed the difference between Yahoo and Google and it seems as if Yahoo isn’t even a search engine anymore! Google on the other hand, presents its main function, the search engine whilst still easily providing users with its other function ability and other software it offers. Giving free valuable material is another great tip. Although it doesn’t seem as if Google is completely monetized, I noticed that the ads they place everywhere and simple links and other advertising methods really pay off. This way, people are happy because they get to use it and you’re making money — it’s how services and websites are spread by word of mouth which enables your service to grow. All in all, I really appreciate the article and forwarded to all my contacts to read it as well. It was written at an excellent quality standard. There’s some powerful information in there that I’ll be sure to implement in my business. Great article thanks, yes very easy to criticize Google but they have changed they way I work and live over the last few years, Google Alerts and Reader for instance, I use them every day, and found this post using them this morning. I really believe that in the long run, more money can be made if you follow an ethical and good philosophy. This article was great! It was very interesting – I learned a lot that I didn’t know about Google and it made me laugh. “Don’t be evil” seems like a default in my world, but I guess sometimes you just need to make it your mantra just to be sure. 🙂 Good stuff. Great article. Easier said than done of course but something to aspire to. The “no hype necessary” point is interesting as it seems to go against a lot of marketing advice around. Build a great product and let others talk about it = free publicity that can spread like wildfire. Excellent point. Wow, great article! I often battle with the last point… Does the nice guy really finish first, or last, or somewhere in the middle due to external circumstances? Whether one believes in karma or not, I think “Don’t do Evil” is a pretty solid philosophy.